You are certainly going to need some planters if you are going to set some decorative plants inside or outside your house. What if you can make personalized pots for planting plats in your home? Yes, it is something exciting that you would like to do when at home. 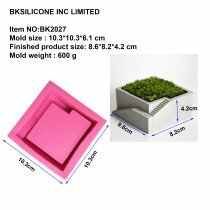 You will need the BK2028 circular ladder concrete cement silica gel mold if you are planning to prepare beautiful concrete pots at home. This mold is going to make concrete planter making process fairly simple for you. Let’s check its features and other specs to ensure you are getting the best mold for shaping an eye-catching planter. Almost everyone buys the planter pots by checking the design. The local retailers provide only a few ordinary planter designs which numerous homeowners are already using. Hence you are looking for a pot to plant a decorative plan in your home, you should pick a unique pot. The circular ladder concrete cement silica gel mold allows you to prepare a truly unique shaped planter that you cannot find anywhere else across your city. Its unique shape makes it more attractive. A lot of people use plastic made molds and rubber made molds to create concrete planter pots. They buy plastic or rubber made planters and then pour the concrete mix into the mold. Once it gets hardened, the stick surface of the mold causes a lot of trouble to remove the planter. It is not going to be an issue, when you are using the circular ladder concrete cement silica gel mold. It is a flexible mold that you can easily remove once the concrete gets hardened. 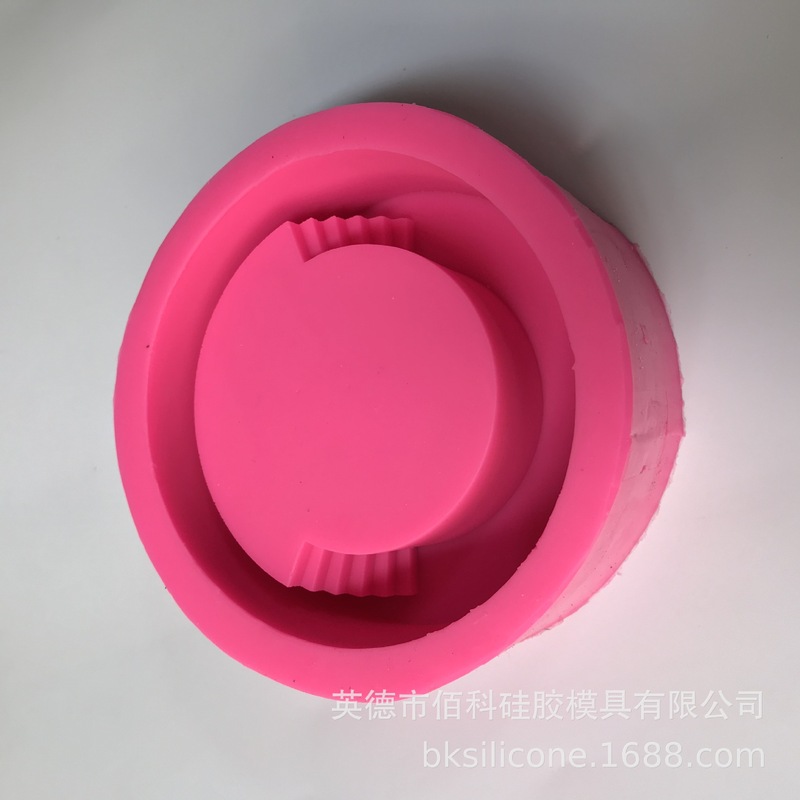 Flexible natural of the circular ladder concrete cement silica gel mold also makes it an easy to clean concrete pot mold. Though it is non sticky, some traces of concrete may still be there inside the mold which you would like to clean before making another mold or simply before storing the mold. It is a dishwasher-safe product and you can easily clean it by using a brush. One common issue with many other concrete molds is that they do not last more than a few months. This silica gel made circular ladder concrete cement mold is designed to last for several months. You can prepare many planter pots by using this mold and it will remain as it is for a very long time. 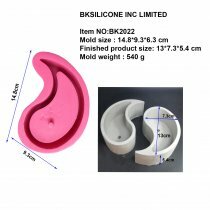 The BKSILICONE is providing the BK2028 circular ladder concrete cement silica gel mold at probably the most affordable price. This 13.6x13.8x5.6 mold will allow you to prepare beautiful 11.5x11.5x3.7 pots, which can house a charming plant inside your home.